This content was published: January 1, 2018. Phone numbers, email addresses, and other information may have changed. Story by Celeste Hamilton Dennis. Before Friday’s guest presentation, “Selling Yourself,” begins as part of WorkSource’s High Tech Networking Group in Beaverton, organizer Becky Meier walks throughout the room, delivering handouts on the morning’s topic. She greets everyone with a smile and by their first name, which she’s made sure to memorize. She approaches a middle-aged man, shaking his head. 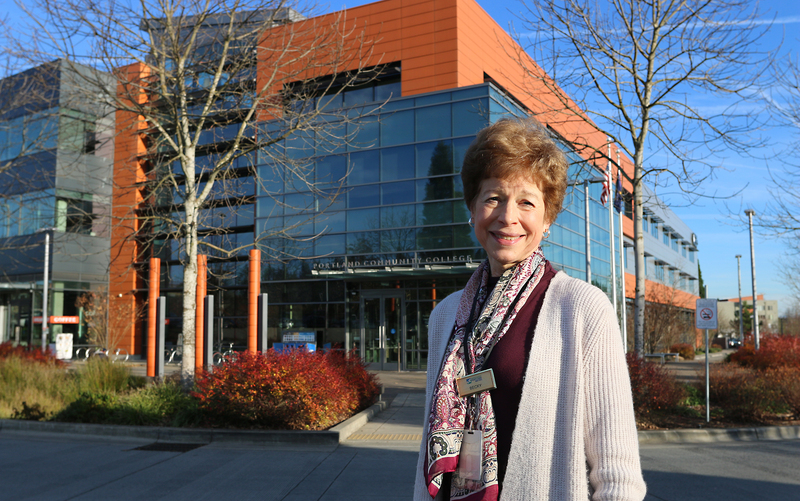 Most everyone in the group at Portland Community College’s Willow Creek Center in Washington County will tell you they come for information on job seeking and the camaraderie. And in the same breath, they’ll also enthusiastically mention Meier — a semi-retired career specialist at PCC since 1992 — who makes the environment feel more like a friendly get-together than like a formal networking event. The group meets every Monday and Friday morning, mainly attracting male Baby Boomers from the tech industry, although attendees also include women and professionals from other fields. Based on surveys Meier has done, 76 percent of the 100 people she usually sees on those two days have a college degree. Gaining skills, then, usually isn’t the problem; rather, it’s figuring out how to navigate the job market. Technical writer Daniel Brewer worked for 20 years before getting laid off from Yahoo! Oregon’s unemployment rate is currently at 4.3 percent. This might not seem too bad, but Meier said the state should be looking at the U-6 number: discouraged workers who’ve given up looking and part-time workers who want full-time jobs but can’t find them. Statewide, that number is at 8.5 percent and reflected in Meier’s group, which includes out-of-work hardware engineers who sort packages at Amazon, or former IT managers with side catering gigs, among others. Even more troubling, said Meier, are “missing workers” — potential employees who simply aren’t reflected in the numbers. Meier hopes that by coming to the group regularly, people will become more than a statistic. The goal is to provide participants with a support system to learn about job leads and new approaches to job seeking, as well as to find others to hold them accountable. Infusing the group with both positivity and practicality is key, she said. When Meier isn’t presenting on job seeking topics, she brings in guest speakers to address everything from advanced resume writing, to how to land a survival job, to using free internet tools. Meier launched the group in 2001 shortly after Y2K, a global tech panic that led to local layoffs due to the high concentration of tech companies in the area. Fast forward 16 years, and according to Meier, the problem now is that the job market in Oregon has changed. There aren’t as many hardware jobs, for instance. And the big companies in the area—Microsoft, Nike, Intel—have gone through massive downsizing in the last year. Veteran employees with high salaries tend to be the hardest hit, highlighting the challenges aging workers face across the country. Daniel Brewer, 57, worked in tech for 20 years before getting laid off from Yahoo! A technical writer and corporate trainer from Milwaukie, his specialty was customer service. He loved being in front of the room and teaching people his “Ten Commandments” philosophy of helping customers. But over time, he found his skills started becoming irrelevant. Instead of a classroom, trainings moved online. Still, his layoff in 2013 was a shock. Brewer had always worked and didn’t know what he was going to do. He reached out to peers, but nobody was hiring. He did well on the few interviews he had, but nothing progressed. Occasionally he’d pick up contract assignments. The stress of constantly looking for work, coupled with caring for a special needs son and a wife who worked overtime to support the family, began to wear on him mentally and emotionally. During this challenging time, he went to the WorkSource Oregon office at Willow Creek to collect unemployment. There, he learned about the High Tech Networking group and gravitated to it immediately. After his first meeting, he showed up every week without fail. He made it a point to stay engaged by asking a lot of questions and talking with others, many with whom he’s still in contact. Meier comes from a long line of female educators, including her grandmother who attended Oregon State University when it wasn’t common for women to go to college. Meier sees the networking group as an opportunity to encourage lifelong learning for everyone involved, herself included. 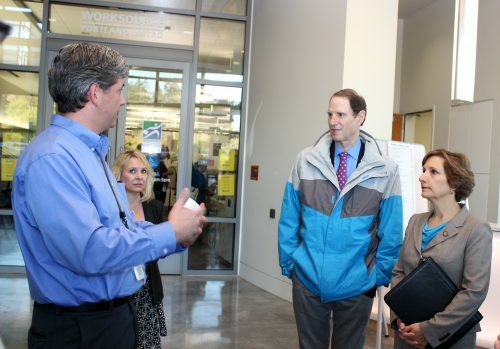 The Willow Creek WorkSource Oregon location is a critical resource that has caught attention of U.S. Senator Ron Wyden and Congresswoman Suzanne Bonamici. It’s a community effort. She might be the one facilitating, but most everyone contributes, whether combing company job boards for positions to share, stapling handouts, or volunteering their time as a guest speaker. One woman, now back to work, regularly comes in to teach the group how to get their LinkedIn profile up to speed as the professional networking website has now become one of the top tools for recruiters. Over the years, Meier has seen upward of 7,000 people rotate through the group. They might be unemployed for three months, or a year or two. But most everybody gets back to work at some point, she said, which is always a cause for celebration. 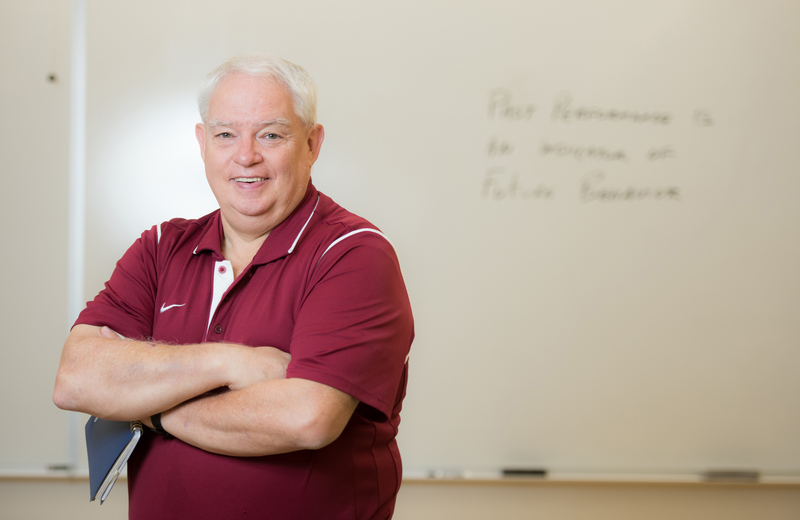 By tapping into his passion for teaching and networking at his son’s school, Brewer eventually landed a steady job last year as a Special Education Program assistant with the Beaverton School District. He also works in guest services for the Portland Timbers to help with bills. With 15 more years left before retirement, Brewer hasn’t given up hope to return to his previous career. Meier continues to be his cheerleader by encouraging him to stay tied to his career goals and keep networking. Customized courses and services to enhance job seeker’s careers. Programs and tools to help return to work with improved skills in today’s competitive job market. On-the-job training, workplace computer skills, resume building and interview workshops, and advising and counseling services. Learn more about the college’s Washington County Workforce Development. Sorry, but the comments have been closed. If you see something that doesn't belong, please click the x and report it. Awesome story! Keep up the great work, Becky. Thanks for being a champion for those in career transition. Way to go Becky and the Washington County Workforce Development programs! Great article, Mom! You do such a great job getting people back to work and are so appreciated! Becky gave me hope when I felt hopeless; I will always be grateful. Is this program open to everyone or just PCC students and alumni? Congratulations, Becky! You do such great work and have helped so many! Becky, your optimism and practical approach along with your sincere desire to help others continues to make a huge positive impact on everyone who participates in your group. Keep up the wonderful work! Hello, I would like to attend this event. Do we happened to know what time does this event take place at PCC Willow Creek on Mondays and Fridays? I wish more people understood just how valuable Becky’s group can be. Looking for a job isn’t usually a core skill for those who are employed. Once an event like a layoff happens, an education (and often emotional support) is urgently needed. The networking group has everything in one location.